Please put the chords throughout the song it’s hard to keep scrolling around and I keep losing my place!! the intro is so fun to play! and I agree with the other comments that it would be a lot easier to have the chords written on every verse. otherwise, love this one!! for some reason I felt like the notes were off, but that’s probably just me. Yeah in the chorus when it says “i would have stayed up” that is Eb and then I play Gm on “night” and then “how to save a life” I played Bb, F, Gm. From the sleepy sprawl of America's 'Mile-High City', Denver, Colorado, United States, comes The Fray, a foursome whose melodic piano rock songs and soaring vocals resonate with sprawling tapestries and tales of hopefulness and heartache. 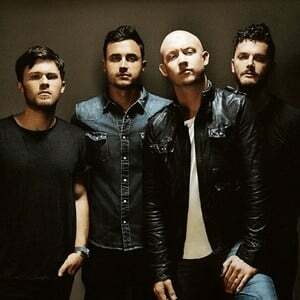 Formed in 2002 by Isaac Slade (vocals, piano) and Joe King (guitar, vocals), The Fray earned a loyal grassroots following through impressive area gigs and the support of local radio, which led a listener-driven campaign to get the band a record contract.